Seen a cannon somewhere that you really liked but didn't see it on our site? Are you a history buff or a super salty dog with something special in mind? Ye old cannon maker loves experimenting in the shop, and would be happy to work with you on your custom order. We also perform repair & restoration services on our models, in addition to models from other makers. 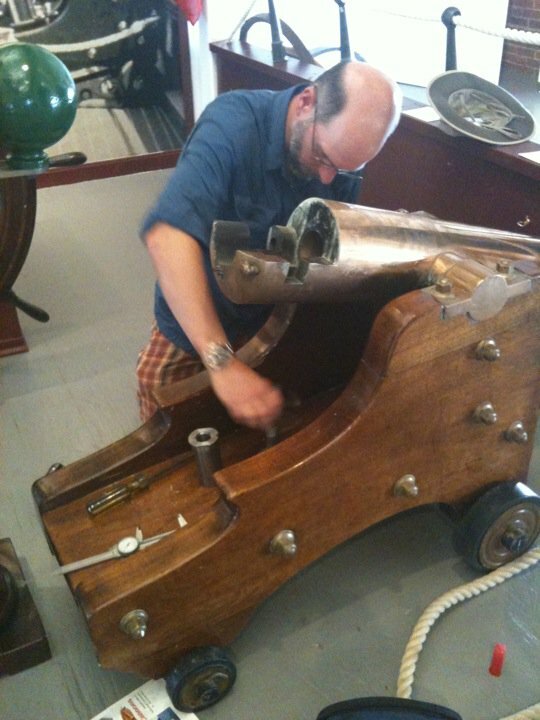 To order a repair, send your cannon to us along with $65 for a consultation. If we can fix it for $65, we will! If not, we will call you with our diagnosis and our quote for repair. Call or email us with any questions today! Bill works on a restoration project in Newport.